Mauricio Pochettino is the right choice to become Manchester United's permanent manager and the club have the power to lure him from Tottenham, says Jaap Stam. Jose Mourinho was sacked by United on Tuesday and has now been replaced by Stam's former team-mate Ole Gunnar Solskjaer until the end of the season while the club undertakes a full recruitment process. Sky Sports News understands United are also interested in appointing a technical director for the first time at the club - a decision Stam describes as a "wise" move. 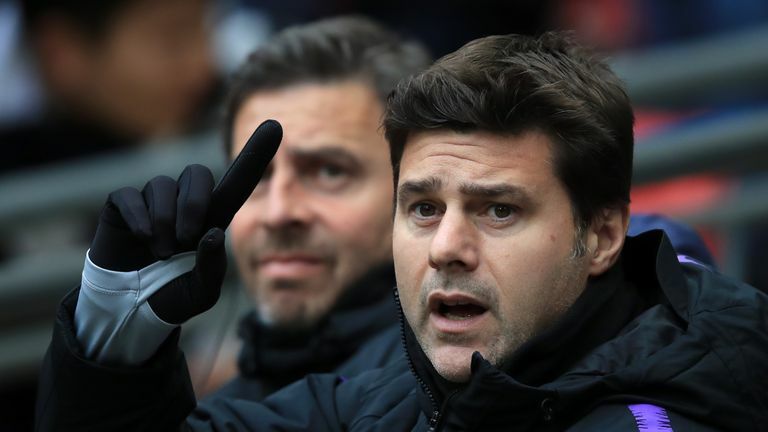 He believes Solskjaer can provide a "feeling of freedom" for the players until the end of the season, but backed Pochettino to succeed in a restructured United with a clear transfer policy. "He is the best choice," Stam exclusively told Sky Sports News. "He's got a lot of experience working in the UK with Southampton and Tottenham. He's good in building a team, plays attractive football, playing out from the back to score goals and win games. I would say that's my choice. "I think they can [get him]. There's been a discussion at Spurs about not spending money on players, I think he is the type of manager who wants to invest every year and improve - at United he gets to do that. "They've got the money to do that. For him that would be the ultimate step." Pochettino has said he wants to see Tottenham into their new stadium as manager, which may not happen until next season. But Stam does not believe that can stop United from luring him away. "The only thing is, and that's a pity for Tottenham, there's always a bigger club and that's United," he said. "They've always got that little bit more to spend, they're bigger all over the world. For a manager it's 'if I want to work at the top I need to be there to really show myself'. "It doesn't matter if they're in the new stadium now or in the next season - if the opportunity is there then he wants to go." Stam - who is seeking a return to management - joked "it would have been nice" to hear from United in their search for a caretaker boss, saying "I'm free as well". But while he is surprised at Solskjaer's appointment, he believes the former United striker can bring a welcome man-management emphasis until the end of the season. "He wants to play attacking football, as a personality he can work with young players, give them a certain feeling, which is what they need," he said. "Sometimes they need to be released from something that brings out that feeling of freedom. I think Ole is that type of manager."